3' 6" (1066 mm) x 1/2" BSP TM, 3/8" bore, black rubber. 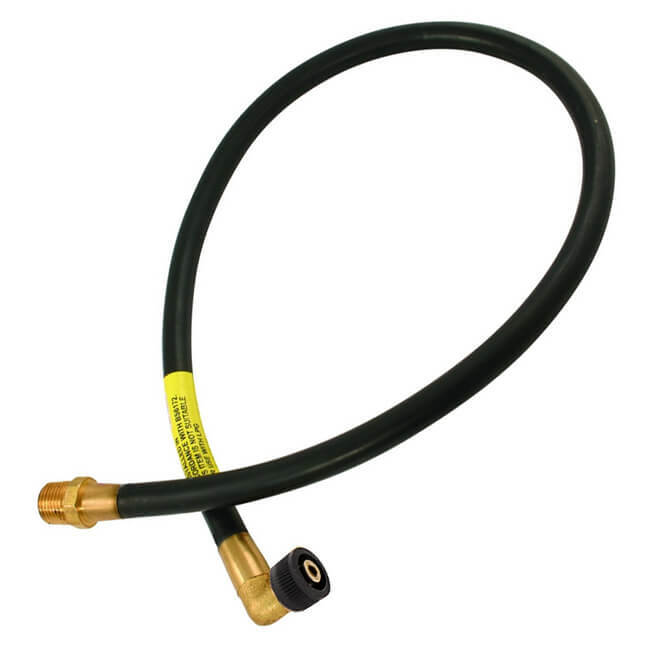 Natural Gas plug in micropoint bayonet cooker hoses produced to BS 669-1:1989. 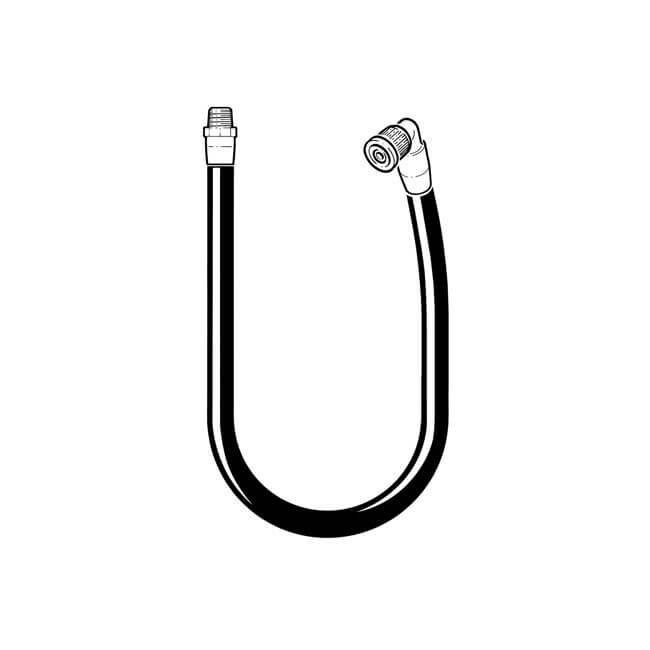 Right-angled bayonet end has a fixed metal elbow with a black plastic knurled locking collar for plug in connection which keeps the hose close to the wall. Other end of hose is 1/2" BSP taper male. For ambient temperatures up to 70ﾰC, and 95ﾰC touch temperature.